Song for Christmas was an annual children’s carol competition, and part of Pebble Mill at One. 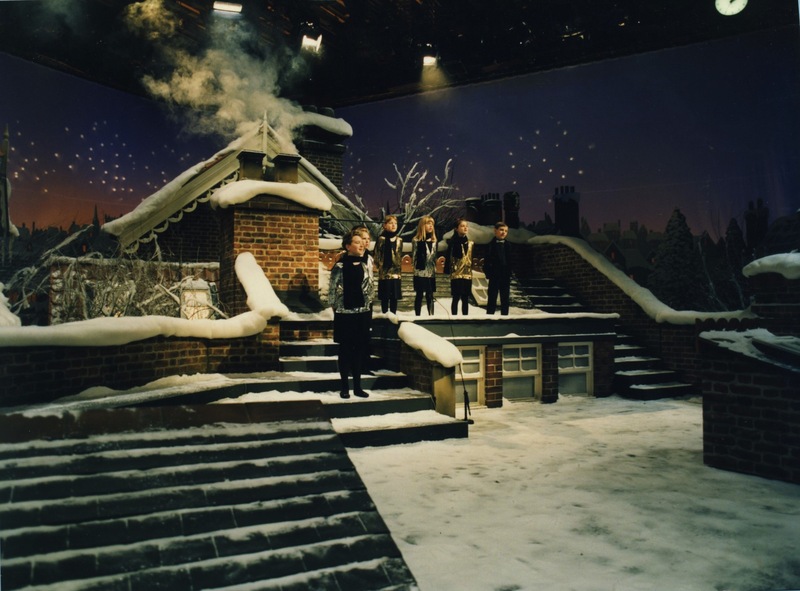 Mark Kershaw was the director of the Song for Christmas shown in the photos, and David Weir was the producer. Lynda Kettle designed the set in Studio A. I’m not sure which year the photos are from, but probably 1985 0r 1986.